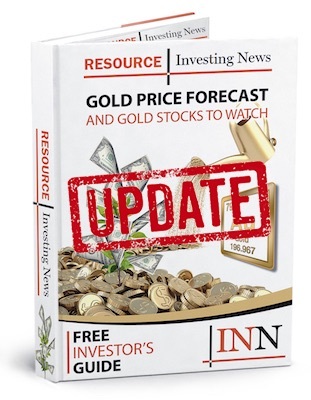 The World Gold Council says that global gold-backed ETF holdings increased by 3 tonnes during the month of March. In March, holdings in global gold-backed exchange-traded funds (ETFs) increased by 3 tonnes to 2,483 tonnes, which is equivalent to approximately US$183 million in inflows, the World Gold Council (WGC) reported on Thursday (April 4). Despite global assets under management falling 1.6 percent to US$103 billion over the course of the month, the WGC notes that global gold-backed ETF flows remain positive year-on-year thanks to strong January inflows. The 1.6 percent decline was due to a 2 percent drop in the price of gold during the same period. “All regions saw marginal increases in holdings. Interestingly, by month-end, North American funds had fully reversed the US$2 billion in outflows seen earlier in the month,” says the WGC. The council explained that the reversal coincided with the price of the yellow metal increasing, which was linked to the US Federal Reserve pausing its monetary tightening cycle. “Our recent report ‘The impact of monetary policy on gold’ finds that, historically, a change in the Fed’s policy from tightening to neutral results in gold increasing meaningfully over the subsequent 12 months,” says the WGC. March saw gold trading volumes climb 15 percent higher than the 2018 averages, landing at approximately US$125 billion per day. As the price of gold moved higher during the second half of March, sentiment and positioning in COMEX futures continued to make gains. However, despite the increases, levels still remain below historical averages, the WGC reveals. The WGC’s report also touches on US stocks, revealing that Q1 2019 brought their strongest quarterly performance in a decade and that the strength was partially thanks to a decline in bond yields. “The extent of the divergence in expectations about the strength of the economy between stock and bond investors is noteworthy. The rebound in stocks has again pushed valuations to historically high levels, signalling confidence by investors,” the WGC says, adding that bondholders currently hold a more pessimistic view of the global economy as a whole. Additionally, the WGC states that a basket of political and economical issues continue to worry investors, with the council illustrating this with examples such as the decoupling between the stock and fixed income markets, combined with US-China trade relations and Brexit uncertainty. Looking forward, the WGC believes financial market uncertainty, paired with the shift in monetary policy and the possibility of a range-bound US dollar, will ultimately support investment in the precious metal. As of 11:57 a.m. EST on Thursday, gold was trading at US$1,288 per ounce.